The number of accelerators has grown rapidly in recent years in the wake of big success stories from startups that have attended acceleartors – including AirBnB, Dropbox and Stripe. Crunchbasenow lists 534 Accelerator programmes in Europe alone. Is an accelerator your fast track to success? To get to the answer, I interviewed startup founders who have attended accelerators – and programme managers and mentors on accelerator programmes. They generously shares their views so you can make the right decision for your business. 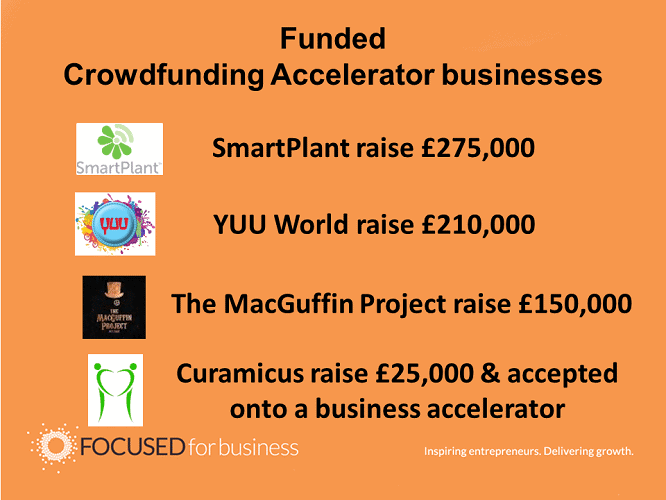 The term “accelerator” was originally applied to a programme designed to bring together a cohort of startups focused on developing their business over a fixed time period (usually 3 to 4 months) with an aim of raising investment. Such an accelerator offered a range of benefits from a structured business education, mentorship, networking and introductions, usually culminating with a pitch day (often called Demo Day). Over time, accelerators have morphed to cover a wide range of programmes encompassing the traditional model but also including bootcamps and co-working arrangements with access to special events and mentors. 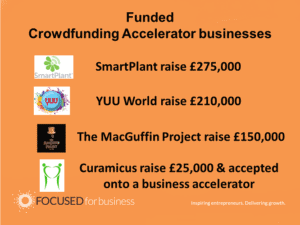 The traditional accelerator model can provide startups with vital seed investment (perhaps up to £150,000) at start of programme, giving them some initial run way to focus on their minimum viable product (MVP). Everyone I interviewed spoke about the positive benefits and energy that comes from focusing on your business for a fixed period of time. Sue Frost described the intensity of the accelerator experience and felt the stimulation and focus that derives from this was palpable and powerful. Sue Frost also found that the structured input, guidance, informal discussions and feedback from mentors was another key benefit. She noted that the tools and techniques introducedon the accelerator were very helpful in structuring a strategy for her startup. 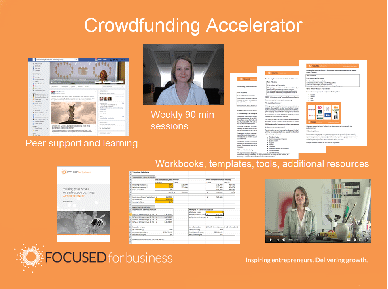 Being on an accelerator brings PR opportunities and can help build brand recognition. Depending on the calibre of the accelerator this can set you apart from other startups – and give you unrivalled access to mentors and investor. Jodie Hughes explains that attending an acceleratoris about changing mindsets. She believes that if can often be the entrepreneur that holds back a business. 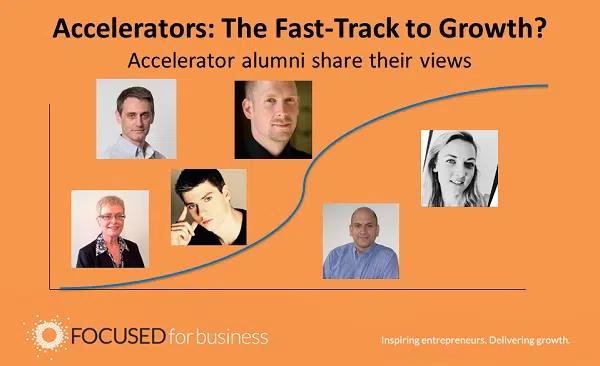 Are there any disadvantages to accelerator programmes? Depending on the flexibility of your personal circumstance – and your family commitment in particular – one downside of anaccelerator programme can be the need to relocate. Not all accelerators do require you to move but often there willbe an expectation that you will attend classes and events in a particular geographic location – although more non-geography specific options are beginning to emerge. Close scrutiny of the costs that can be involved with accelerators,particular if the accelerator takes equity as part of the programme, is also advisable. Aristos Peters founder of D-Risk It, offering data led investment tools for startups, accelerators and investors, who has been a mentor on a number of accelerator programmes (including CollectiveGlobal Accelerator, Microsoft Ventures, Oxygen and Entrepreneurial Spark) urges founders to be very clear about the costs involved in participating in accelerators that offer cash in exchange for equity. Perhaps perversely given the majority of founders joined accelerators in order to meet people, one disadvantage that emerged frommy interviews is that there are so many different people giving feedback onyour business (in mentoring session, at pitch days and in informal conversations) that too many alternative viewpoints can lead to confusion and indecision. There was also mention of all the events, classes and mentor sessions providing conflicts of time – most founders recognised there was a point when they had to tak edecisions and focus on building their business and that the constant round of events and meeting could begin to feel like a distraction. All the founders I interviewed also recognised and felt a degree of pressure that comes from the competitive climax of Pitch/Demo Day and the desire to want to demonstrate tangible progress by this point. But then, running a startup is never stress-free! And what did the founders find most beneficial? Be clear on your objective in doing an accelerator and do your research to be sure you pick the right programme for you. That way, you can be sure you’ll get what you need. 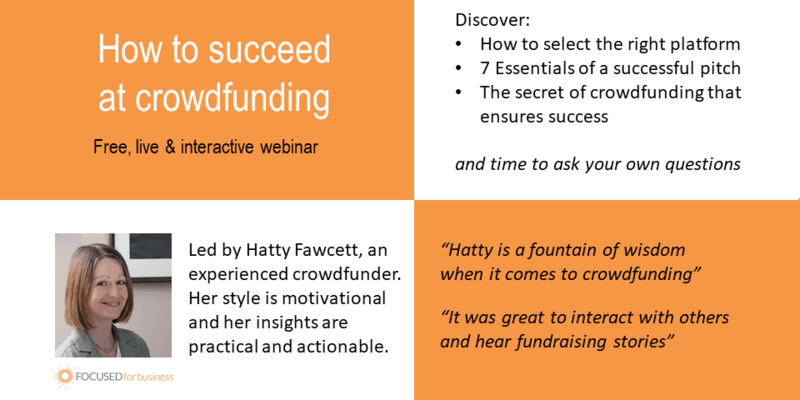 Crowdfunding Accelerator is an eight week onlineprogramme designed to make it quicker and easier to prepare for successful crowdfunding. Entrepreneur Board is a dedicated peer forum for founders and business owners focused on fast growth through the launch of new products or business models, scaling for fast growth or who are raising investment.